$365 No-Limit Hold 'em Event is in the Money! 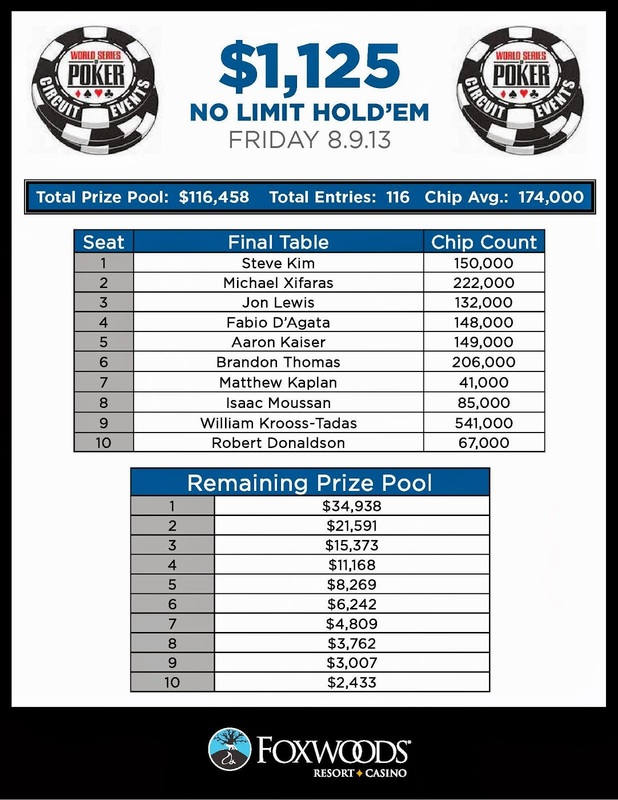 With only 63 players remaining, all players in the $365 No-Limit Hold ‘em event have made they money and are guaranteed at least $573. Among those are actor James Woods, who looks add his first Circuit Ring to his list of awards. 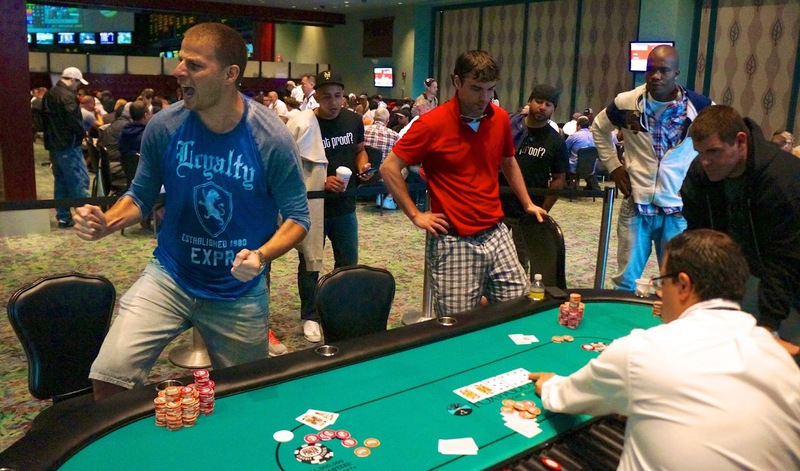 We have reached the final ten players in Event 3, the $365 Omaha Eight-or-Better. 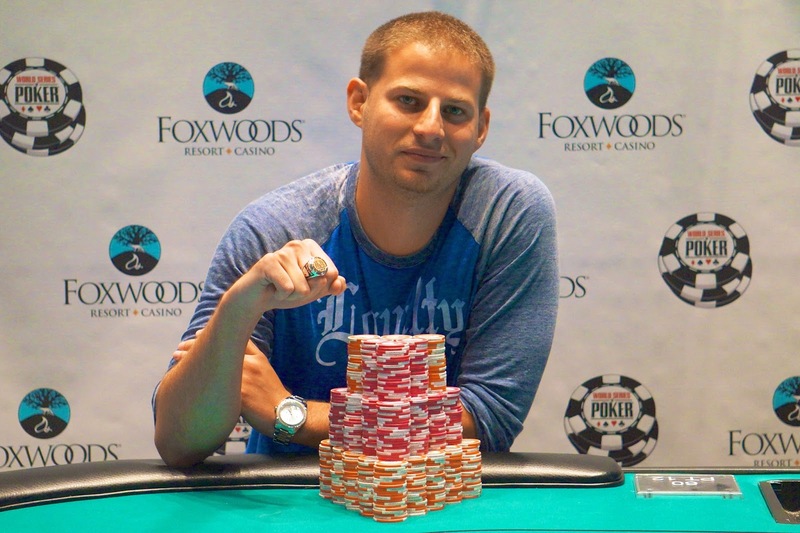 Congratulations to Fabio D'Agata, winner of the $1,125 No-Limit Hold 'em event at the Foxwoods Circuit Series. For his first Circuit victory, takes home $34,938 and the Circuit Ring. Fabio D'Agata lets out a scream as the river card is put out. D'Agata's pocket kings held up against the [As][Qs] of Brandon Thomas after Thomas flopped a queen and a flush draw. With three players remaining, D'Agata now holds nearly half the chips in play at the $1,125 No-Limit Hold 'em final table. The fourth event at the WSOP Circuit, the $365 No-Limit Hold 'em, drew 578 players. 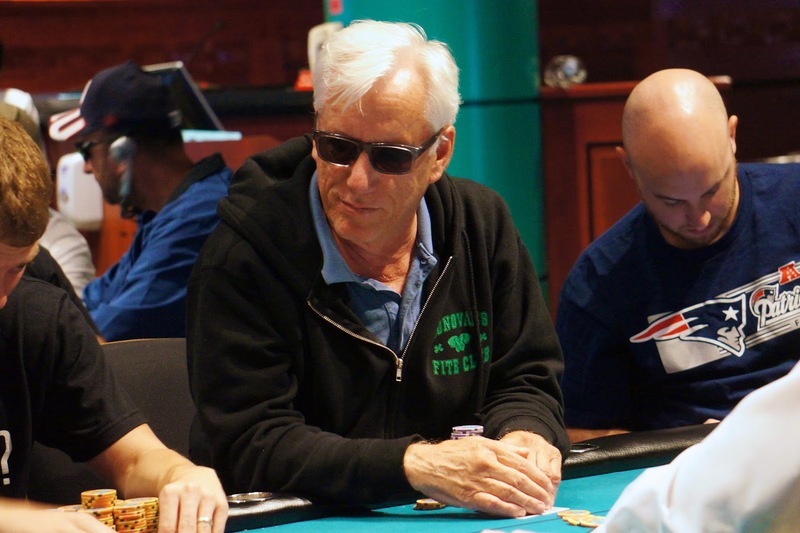 It is not unusual to see legendary actor James Woods at Foxwoods. 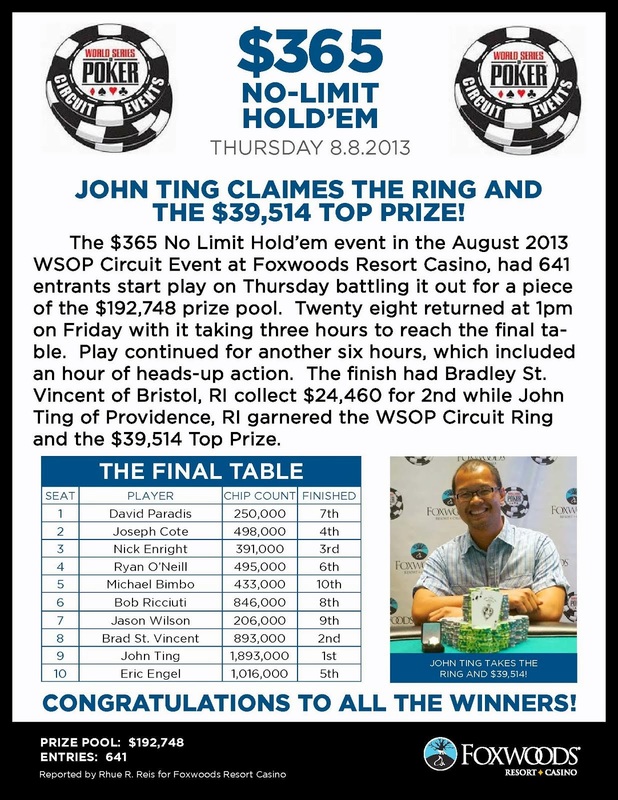 He is a regular in both the cash games and tournaments when he is on the east coast. He is taking his first shot at a Circuit Ring today in the $365 No-Limit Hold 'em event. Woods has starred in such films as Casino and Once Upon a Time in America. More recently, he has had a recurring role on Family Guy as him self as well as starring in White House Down with Channing Tatum and Jamie Foxx. He just wrapped up shooting a role on the Showtime Original Series, Ray Donovan. 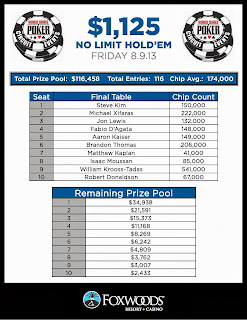 The final table of the $1,125 No-Limit Hold 'em event has resumed action. 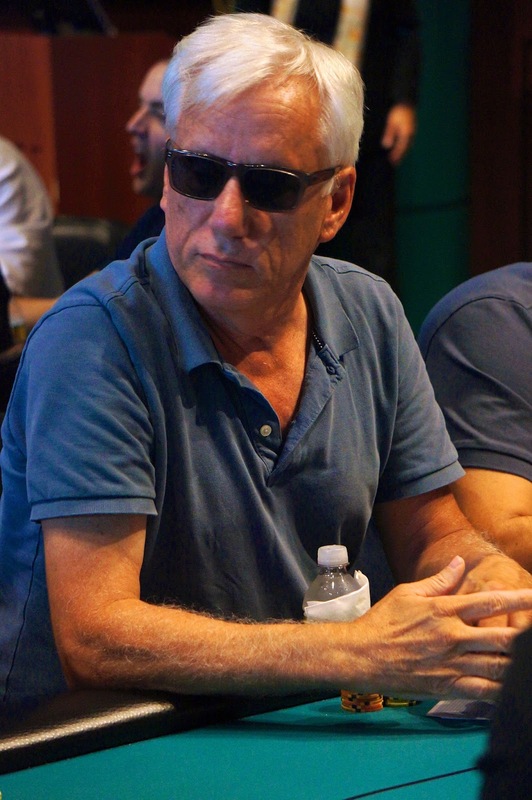 The blinds are currently 3,000-6,000 with a 1,000 ante. 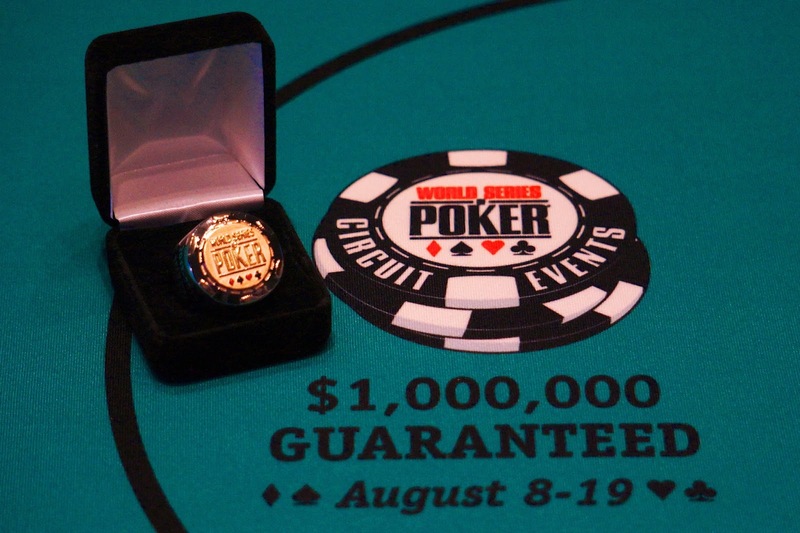 Event 4 at the WSOP Circuit, the $365 No-Limit Hold 'em event, is now underway. The final table of the $1,125 resumes at 1pm and will be streamed live on FoxwoodsLive.com. Finally, Day 2 of the $365 Omaha Eight-or-Better gets underway at 3pm with 26 players remaining.